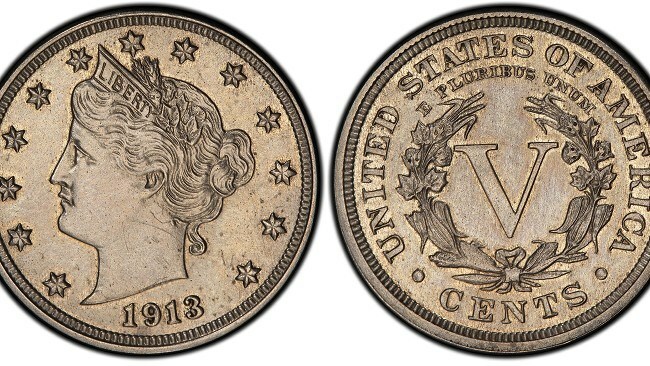 A 5 cent American coin with a fascinating story dating back one hundred years is due to go down in the history books as one of the highest amounts ever paid for a US coin when it goes up for auction in Chicago on April 25th. Experts believe bidding for the 1913 Liberty Head Nickel could top $5m due to the fact it’s one of only five known to exist and the remarkable story behind it. It’s thought the Liberty Head is one of five bogus coins struck in secret at the end of 1912 by Philadelphia Mint employee Samuel Brown who altered the year on the die to say 1913, the year the Buffalo Nickel was introduced. Brown was rewarded handsomely for his efforts. He sold one of his ‘illegal’ Liberty Heads to a collector from North Carolina, George Walton, in the mid 1940s and made a reported $3,750. But events took another unexpected twist when Walton – and his coin – were involved in a car crash in 1962. Walton himself didn’t survive but his nickel did. But the story doesn’t end there. Recovered from the wreckage and passed to Walton’s sister Melva Givens, the coin was declared a fake because the date had been tampered with. Rather than throwing it away, Mrs Givens stuck it in an envelope in a bedroom closet where it remained undiscovered until her death thirty years later. It wasn’t until 2003 that experts at the World Numismatic Fair in Baltimore finally confirmed the ‘Walton’ Nickel was genuine and it was reunited with the other four coins. It is currently on loan to the Colorado Springs Museum. A 1933 Double Eagle currently holds the US record when it was sold at auction for a cool $8m. View The Westminster Collection’s full range of American coins.